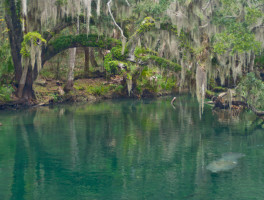 Florida Canoe & Kayak Rentals | Florida Hikes! 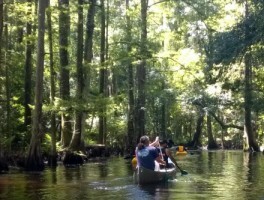 Florida parks and other places where paddlers can arrange rentals of canoes, kayaks, and paddleboards. 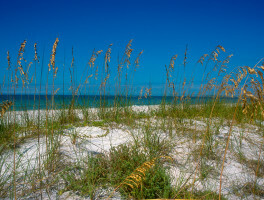 A sweep of Atlantic Coast beach awaits along the southern tip of Amelia Island, where the sand glistens and the surf is frequently up. 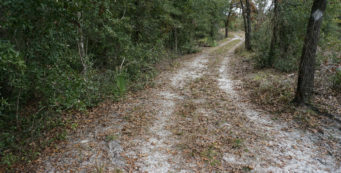 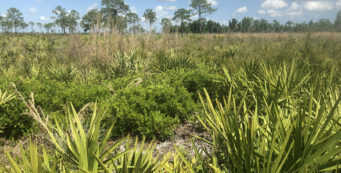 Amelia Island State Park protects 200 acres along the island’s shore. 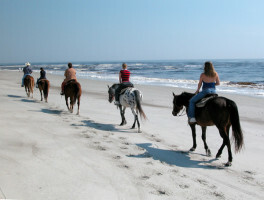 For a taste of tidal pools and black rock beaches in Florida, get out of your car and walk down to the unique shoreline of Big Talbot Island State Park. 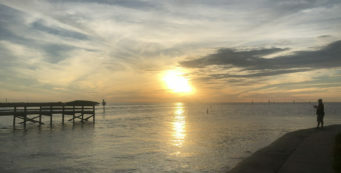 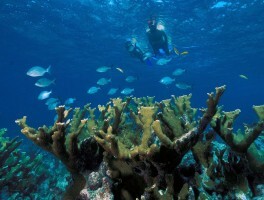 Biscayne National Park protects the mangrove coastline of south Miami-Dade County along with living coral reefs and a handful of barrier islands that barely managed to escape development. 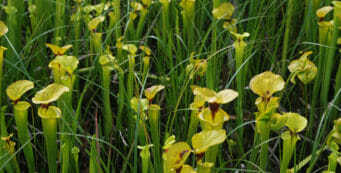 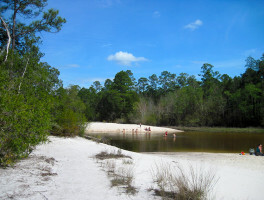 With sandy beaches tempting on every curve of the river and trails for paddlers and hikers to enjoy, Blackwater River State Park is the gateway to thousands of acres of public lands stretching northward to the Alabama border. 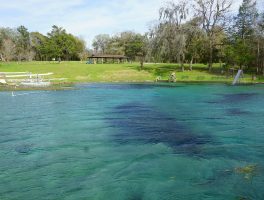 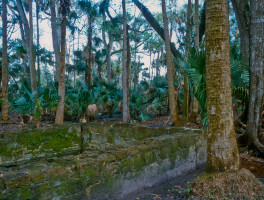 Burned to the ground by a Seminole war party in 1836, the Bulow Plantation fell into ruins, and the remaining towering ruins of a sugar mill are the focus of Bulow Plantation Ruins Historic State Park. 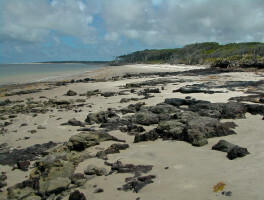 A windswept sentinel off the coast of Dunedin at the edge of Clearwater Harbor, Caladesi Island enthralls visitors with its remoteness, its quiet beaches, its extensive forests and mangrove swamps. 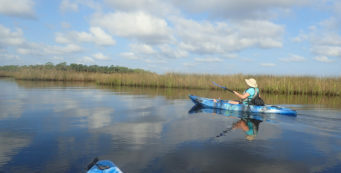 Paddle down Shingle Creek from Shingle Creek Regional Park at Steffee Landing in Kissimmee, where canoe and kayak rentals are now available for visitors.